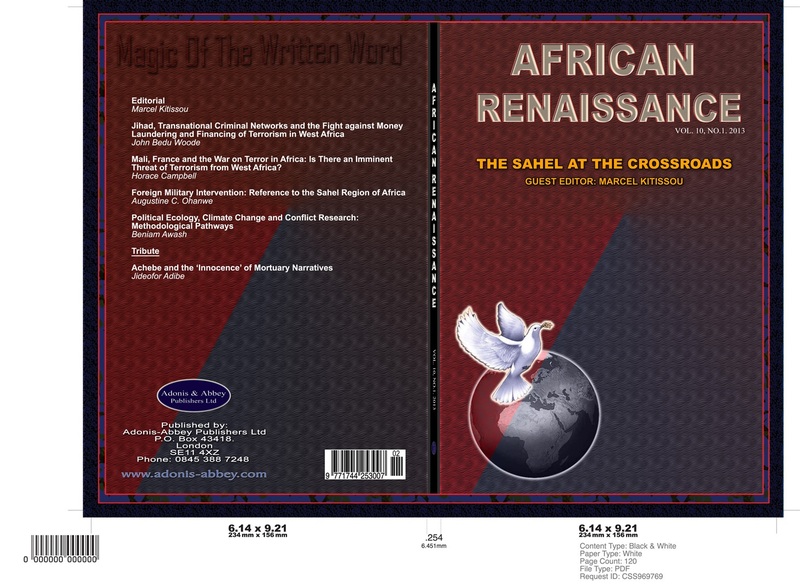 “The Sahel at the CrossRoads”, the special issue of African Renaissance vol 10, no.1 2013 featuring Sahel Consortium members and edited by Professor Marcel Kitissou is now available. The authors address the contentious history of French military intervention’s in the Sahel, the complex nexus of jihadi’s, illicit financial flows and criminality in West Africa, the much less discussed activism of France in the War on Terror in Africa and a methodological assessment on the effects of climate change on violent conflict. This entry was tagged Africa, Climate Change and Conflict, France, Illicit Finance, Jihadi, Military Intervention, Political Ecology of Climate Conflict, Sahel, War on Terror, West Africa. Bookmark the permalink.